I’ve seen these on Pinterest a bunch & I’m finally trying them. I started the Whole30 (pretty much Paleo) at the end of last week (hoping to banish my allergies & asthma…it’s only been 5 days & I can already feel a noticeable difference!) & I’m so tired of my mini frittatas (modified to be dairy free). These are soooooo good! and filling! and I’m actually looking forward to breakfast tomorrow! 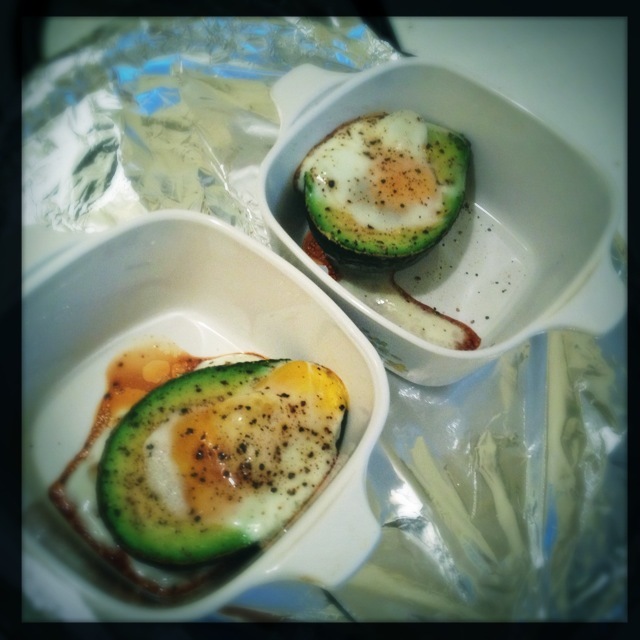 I mean, I guess I shouldn’t be surprised—I practically live on avocados anyway, so just adding an egg shouldn’t change my love for them. 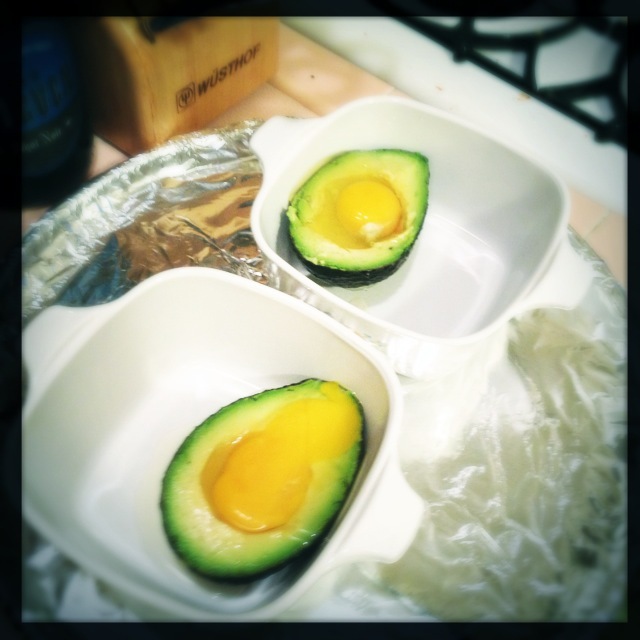 Balance the avocado halves so that they don’t tip over once you fill them with egg–I used the sides of these mini corningware dishes (I’ve also seen people use ramekins or foil shaped into a U). Crack eggs & pour into the area previously occupied by the pit. 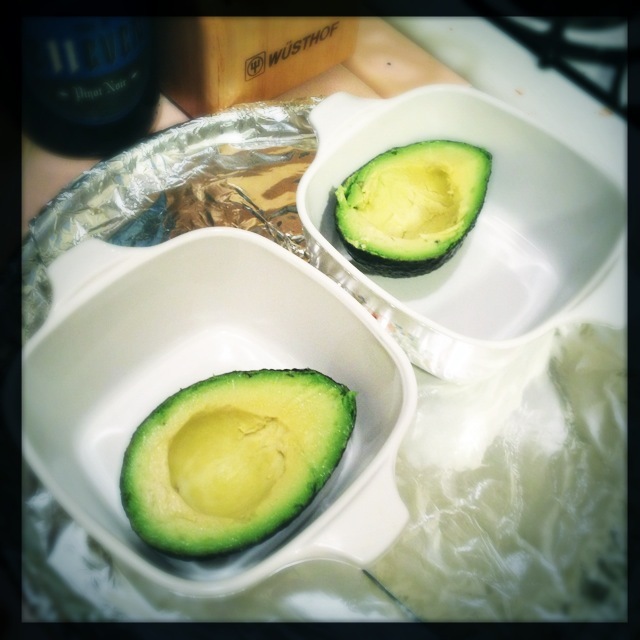 Add salt & pepper, if desired. Cook for 15-20 minutes (I prefer 20) at 425F.